Tens of thousands of South Asian Americans are challenged with mental health issues, according to a study by the Asian and Pacific Islander American Health Forum. Young South Asian women in America have a higher rate of suicidal tendency than the US population in general. They are loaded with depression out of anxiety, stress, meaninglessness, unimportance, self-esteem loss and family conflict. Many Indian Americans succumb to mental illness when they fail to cope with socio-cultural conflicts in the USA. Even a significant percentage of the elderly Indian American population suffer from mental disorders. But, Indian Americans hardly seek counseling because of a cultural stigma attached to mental health issues. 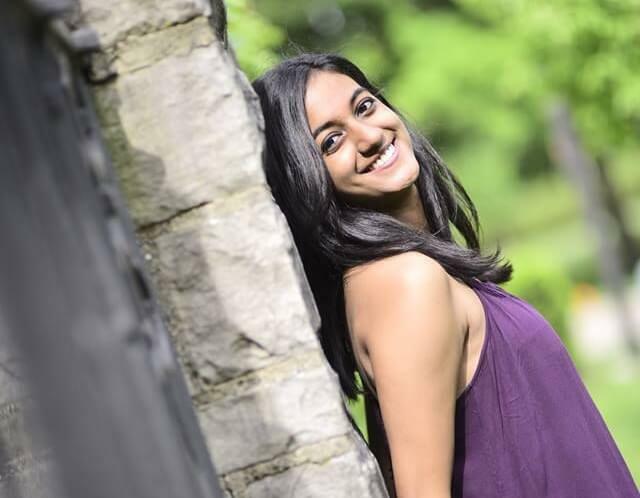 Dhivya Sridar, a young Indian American student at Northwestern University Weinberg College of Arts and Sciences in Illinois, is a ray of hope in the dark of depression among Indians in America. Upon recovery from an eating disorder (anorexia nervosa) which pushed her into a battle with mental illness for several years, Dhivya Sridar along with Archit Baskaran came forward to help the victims of mental health disorders among South Asian Americans with hope, support and compassion. Ideated by Archit Baskaran, I-AM SHAKTI (I AM POWER) is their nationwide campaign to sensitize Indian Americans about how to crush mental health challenges. Chicago-based Indian American Dhivya Sridar is not alone on her mission to provide Indian Americans with a forum where they can join together to uninhibitedly discuss their mental health issues and empathize with each other for a faster recovery. Dhivya launched I-AM SHAKTI this fall with help of five other Indian American students: Nikita Saladi, Shyam Mani, Aishwarya Chenji, Archit Baskaran, Ragashree Komandur and Mohan Ravi. Dhivya Sridar’s I-AM SHAKTI is looking to educate parents on mental health issues which are common to children and teens for various reasons. Very few Indian American parents are open about their children’s mental health disorders due to a social stigma attached to mental illness. With support from her own parents, Dhivya vowed to create parental support groups where mentally ill children’s parents can ask questions and seek advice. Parents often suppress the need to address their children’s mental health issues under pressure of societal expectations. Shockingly, South Asian American teenage girls tend to commit suicide more often than Native American girls. When Dhivya herself was diagnosed with anorexia nervosa (a chronic obsession with calories, exercise, and weight loss), she felt one with other mentally challenged South Asian American girls. The team of I-AM SHAKTI led by Dhivya Sridhar is also looking to empower the mentally ill with creative outlets such as story writing, painting, music, dance, and passion for any art form so that they can express themselves to get rid of unknown fears, insecurities, societal stress, or performance anxiety which subjects us to depression. Another goal of I-AM SHAKTI is to build a network of culturally competent therapists and connect parents or family members or friends of mentally ill Indian Americans with them in real time. Indian American Dhivya Sridar is open to welcome volunteers to join her mission so that I-AM SHAKTI can become a national social justice movement in the USA. This story is part of our continued effort at Indian Eagle to promote humanitarian work by Indians in USA and the rest of the world. We not only strive to book US to India flights for the lowest fare but also cater inspiring stories, community news, and travel updates to Indian Americans through our free newsletters. I contemplate suicide all the time. I’m so isolated. I’ve met so few other Indian Americans like me. Thank you so much for sharing your story. We would love to be in touch and ensure your voice is represented in this conversation, and to do what we can to help. Please reach out to us through our website https://www.iamshakti.org/ or via our facebook page https://www.facebook.com/iamshakti1/ to continue this conversation. We look forward to hearing from you! Please reach out to us through our website https://www.iamshakti.org/ or via our facebook page https://www.facebook.com/iamshakti1/ to continue this conversation. We look forward to hearing from you! How do I join your group of volunteers?